Donald Cerrone is growing impatient of Conor McGregor’s stubbornness regarding a future fight, and decided to make his gripe with the Irishman public on Thursday. According to Donald “Cowboy” Cerrone, the reason why a fight with McGregor hasn’t been finalized yet is because of one thing: ego. “Conor won’t fight unless it’s a main event,” said Cerrone on Thursday. 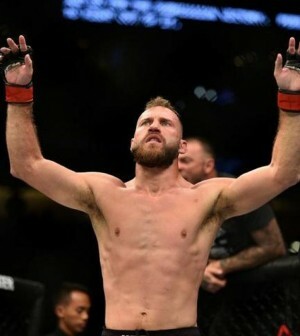 Cerrone, 35, has bounced back after a tough streak of three straight losses, establishing himself as one of the main contenders in the lightweight division. He most recently won via TKO (head kick and punches) vs Alexander Hernandez at ‘UFC Fight Night: Cejudo vs. Dillashaw’ in Brooklyn, New York on January 19. McGregor, on the other hand, has fought just once in the UFC since the start of the 2017 calendar year due to his his highly publicized boxing debut against Floyd Mayweather in August of that year followed by a hiatus from fighting. His last fight was a loss via submission against Khabib Nurmagomedov at UFC 229 last October.